To mark the 100th Anniversary of the Armistice Trowbridge Players present this moving drama. 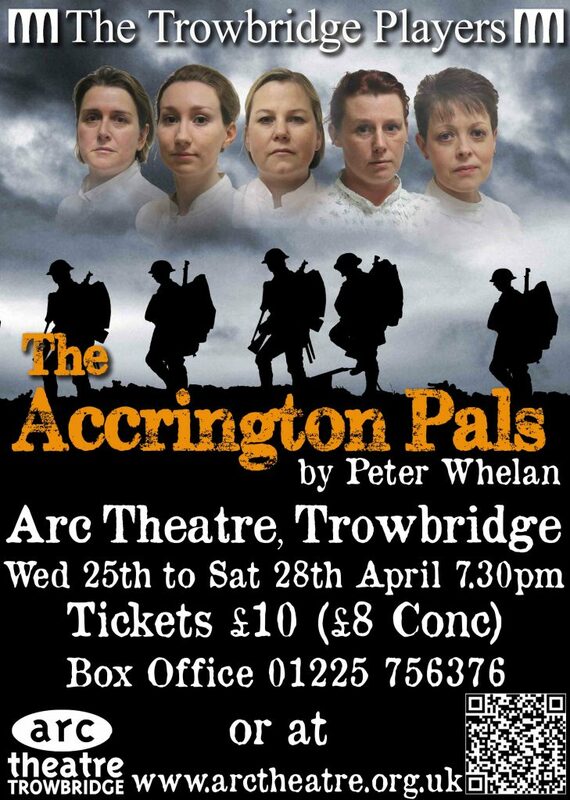 ‘The Accrington Pals’ follows the story of the innocent and enthusiastic men who volunteered their services to their country after Kitchener’s calls for a New Army. Their experiences of life on the Western Front are contrasted with the women who are left behind in Accrington, women who come together as friends when facing financial, social and sexual deprivation, as well as being thrown into the social changes that came along with the absence of many men. The play has fun and light-hearted moments, which are starkly contrasted with the terrifying reality hundreds of men faced at the Battle of the Somme in 1916.